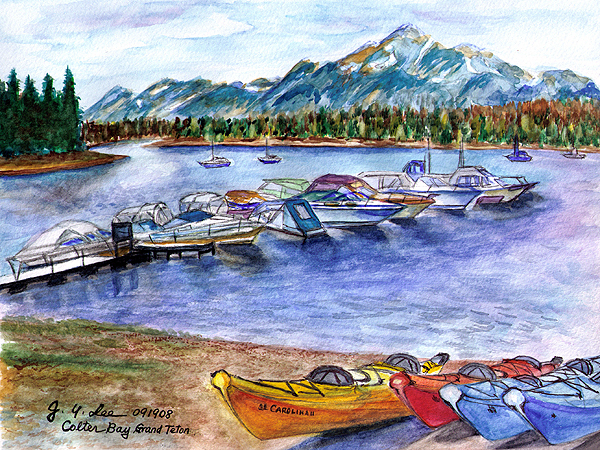 Colter Bay seems to be gifted with a row of snow-covered mountain peaks and deep blue lake. The boats and kayaks act like naughty spirits that sometimes cast shadows on the mirror like surface or play hide and seek in the wavy water. Its ever-changing picturesque scene deeply inspired me to express a thousand words in this painting.